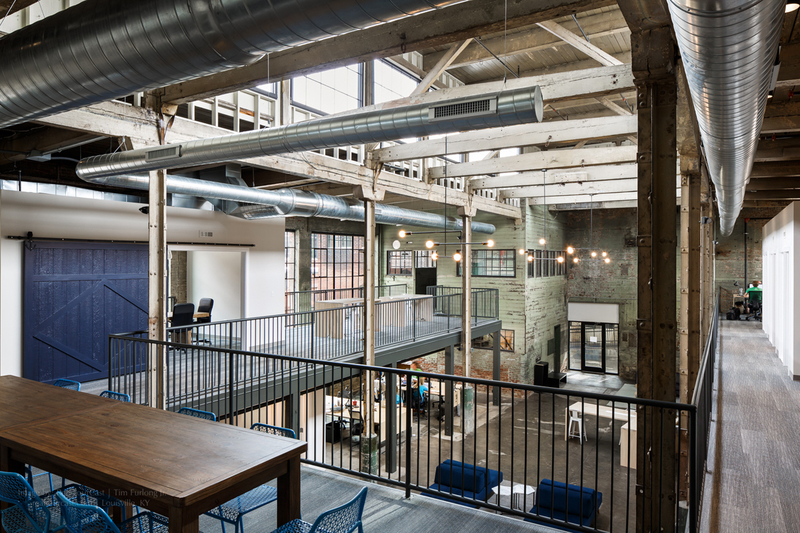 Located in the Germantown Mills Lofts, SuperfanU moved their headquarters into the newly renovated space. 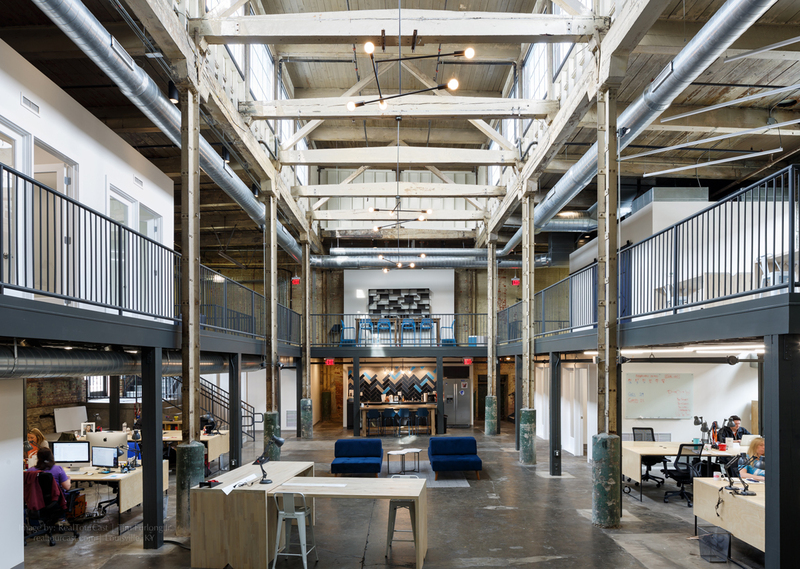 WorK A+D also designed WorK A+D was approached to adapt a textile mill building within the Germantown Mills Lofts complex for SuperfanU, creators of an app-based fan loyalty platform. 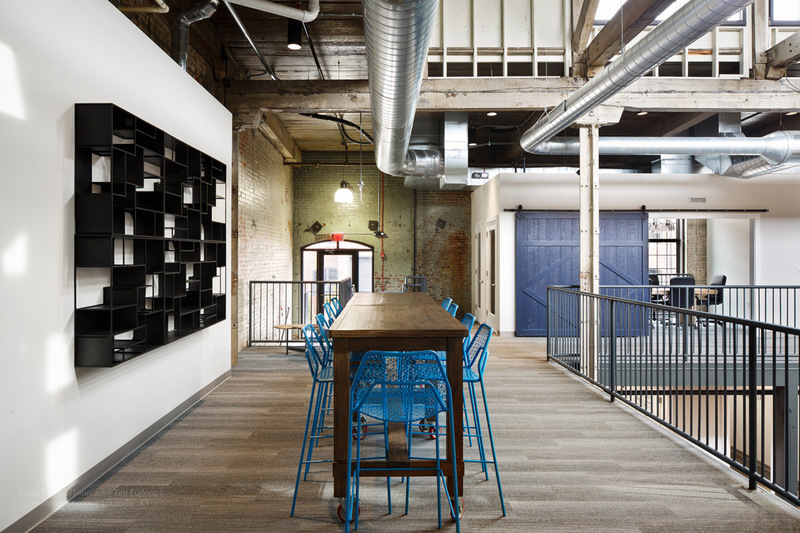 For their space, SuperfanU sought a fun modern touch while maintaining the historic character of the mill. 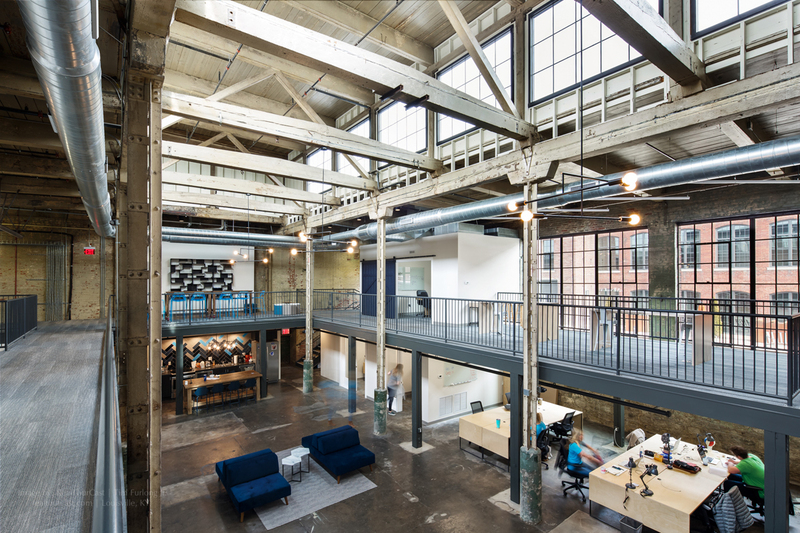 A new perimeter mezzanine provides additional office and work space for the company while an informal tiled kitchen anchors one end of the double height space. 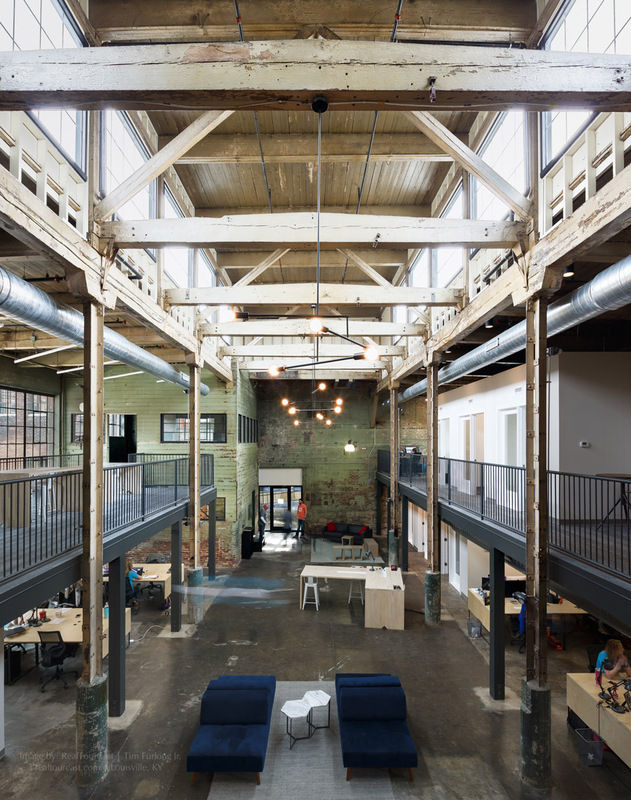 Minimal light fixtures by Andrew Neyer are suspended along an existing central clerestory. 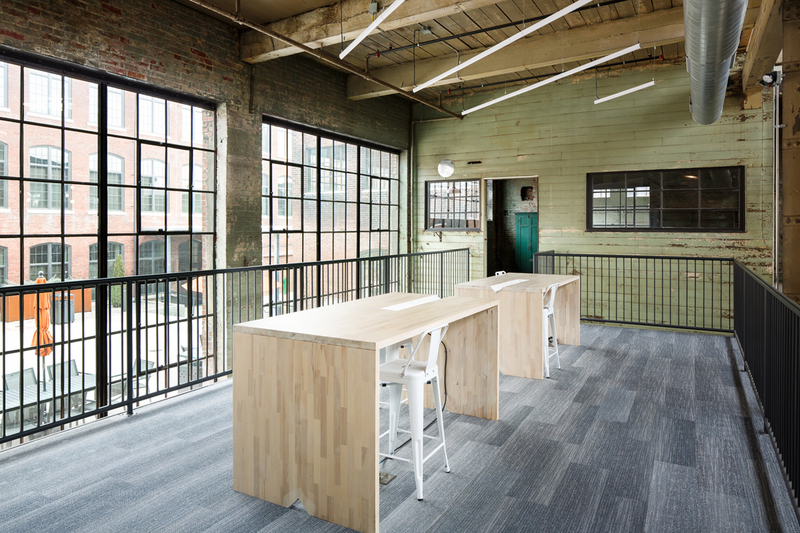 Custom wood benching provides for multiple desk configurations and worker flexibility.